Saint Laurent blouse in metallic polka dot chiffon. For in-store inquiries, use sku #2460557. 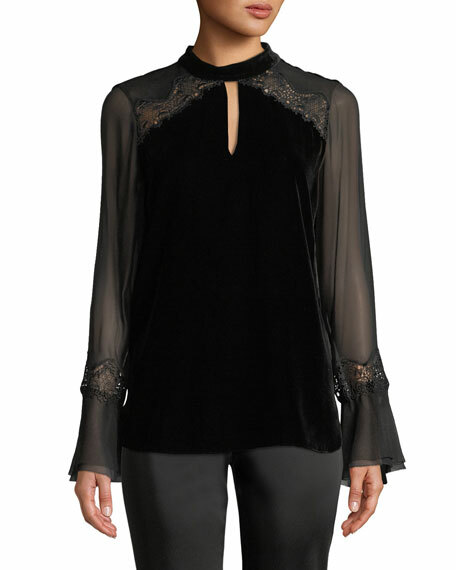 Elie Tahari "Judith" chiffon blouse. Stand collar frames split neckline. Sleeveless; pleated shoulders. Relaxed fit. Silk/spandex. Imported. Model's measurements: Height 5'10"/177cm, bust 33"/84cm, waist 25.6"/65.2cm, hips 35.8"/91cm, dress size US 2-4/FR 34-36. 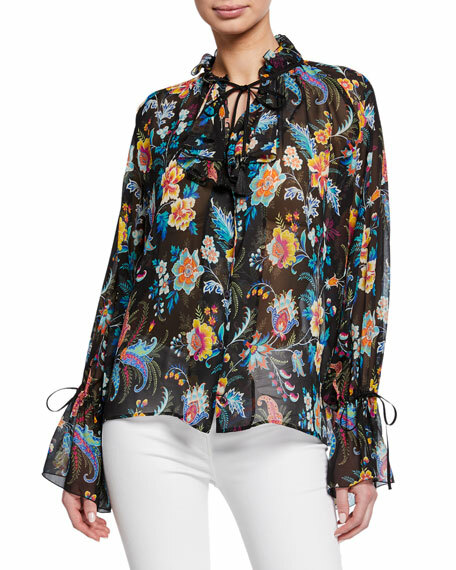 Etro blouse in fern floral-print chiffon. 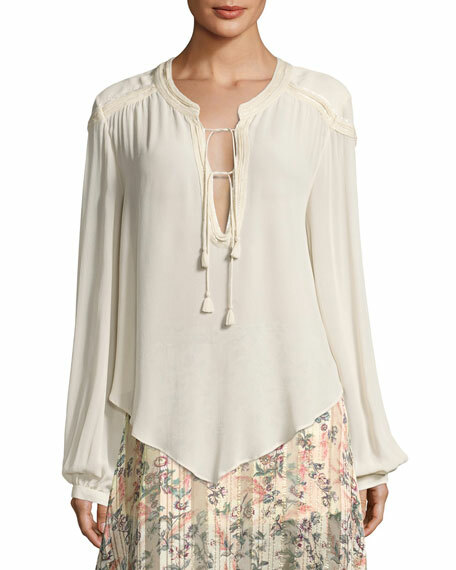 Ruffled funnel neckline; ribbon-top keyhole. Button front. Long sleeves; flare cuffs with tie. Relaxed fit. Shirttail hem. Silk; cord, acetate. Dry clean. Made in Italy. 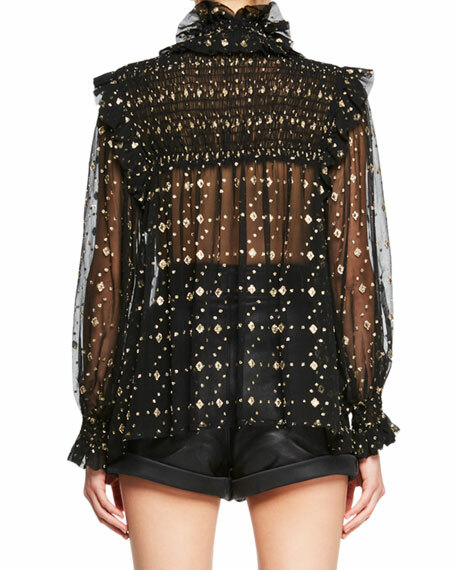 Haute Hippie "Goldie" chiffon blouse with embellished trim. Split neckline w/ tassel ties. Long blouson sleeves. Relaxed silhouette. Slipover style. Asymmetric hem. Viscose. Imported.